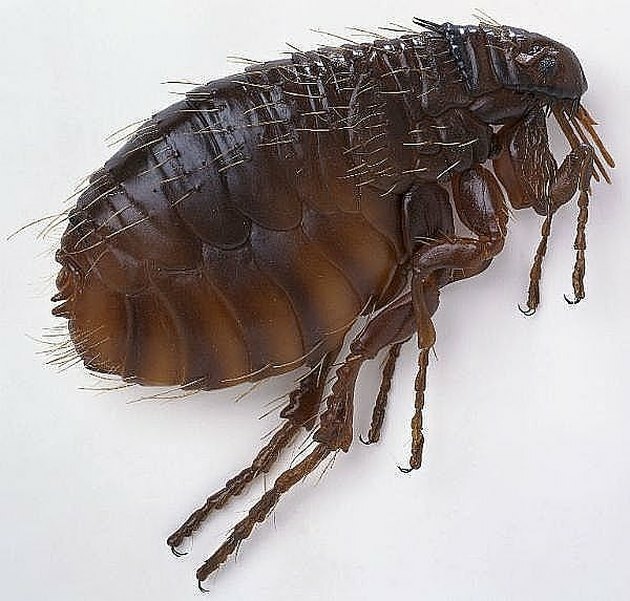 Carpet is a flea's indoor home of choice, but they do surface occasionally to feed on homeowners or pets. If gone untreated, fleas will take over fabric furniture, mattresses and pillows. While they're only in the carpet, get rid of them with natural ingredients. Sprinkle borax liberally all over the carpets in your home. Work the borax into the carpet with a rake or broom. Borax acts as a dessicant, dehydrating fleas and their larvae. Allow the borax to sit in your carpet for 24 hours (to kill the fleas and eggs). Vacuum the borax, fleas and eggs out of the carpet. Dispose of the vacuum bag outside immediately after vacuuming (or, if using a bagless vacuum, empty the canister outside). Fill the rinse water container of the carpet shampooer with a mixture of one part vinegar to two parts water. Shampoo the carpets, using the water/vinegar mixture. The water drowns the fleas, and the acid in the vinegar helps to kill the unhatched eggs. Dump out the dirty shampoo water and clean the shampooer. Allow the carpet to air dry.